Balance can be hard to come by in this day and age, with our busy lifestyles. So much information is floating around about how to be the best parent you can be. 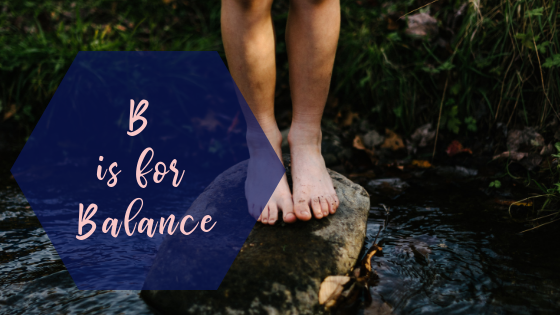 Here at HB&B, we want you to find balance while finding your footing as a parent- that doesn’t mean you have to ascribe to do ALL THE THINGS, it just means you need to find what works for you and maintain self-care in the process. We’d like to share 5 things you can implement in order to find balance in your life, right now. Additionally, we feel that these 5 things can help you find balance in pregnancy and parenthood as well. Food is Fuel. Nourish your body. Thats right, you are what you eat folks. A healthy diet consist of a vast array of colors and textures. Eat fresh vegetables, salads and fruits as snacks rather than indulging in high calorie finger foods like french fries, chips or junk food. Whole 30 anyone?! Hydration is super important as well, so drink up. Meal planning can increase your chance of success in this area. While this may seem like a daunting task, you can find people to help you achieve or maintain this. Did you know that we have a health coach available for this exact reason!! Help can’t happen unless you request it- and no one can read your mind. Being able to speak up and let those around you know what will help you is empowering for you, and it assures that there is no miscommunication when it comes to your expectations. By the way, its perfectly acceptable to need and ask for help. It’s okay to not be okay. Consider this permission for you to take care of you. A daily walk in the sunshine, some fresh air, and a slight increase in your heart rate at least three times a day is recommended by almost every health professional in the world. Find movement that you love doing and have at it! Dancing with your children, roller skating, bike riding, a quick sprint up and down the stairs…those are all simple ways to foster mindful movement throughout your day. Your mind and body will thank you! MommaStrong is a local owned program that allows you to work out from home, we highly recommend them! Foster meaningful relationships that fill your cup. While this seems like a logical thing to do, it also means ridding yourself from negative, toxic relationships as well. Setting boundaries with people you have intimate relationships may be difficult, but its a giant step towards maintaining balance in your life as a whole. Planning weekly “dates” with people who build you up, cheer you on, and truly want to see you succeed is heartwarming and allows you to find and maintain balance in your life. Again- it can be as simple as meeting at a park for some conversation in the sunshine! When you can’t get out, find a digital place to meet like-minded people. Make time for quiet contemplation in whatever form works best for you. Yoga, meditation, prayer, rituals. There are many choices. For some people- their best quiet contemplation happens in the shower. For others, reading a book, taking a walk or a car ride can be a moment of bliss they crave. Knowing that these things can look differently for everyone is the key here. What works for you, may not work for your neighbor or co-worker and vice-versa. Balance is not always hard to come by. The difficulty is in creating a way for balance to happen, and knowing how to start to create ways for balance to manifest in your life. Use these 5 tips to start seeking balance in your own life, and let us know how it works out for you!